Gonder was the 17th Century capital of Ethiopia, and is notable for its medieval Castles and churches. The City’s unique imperial compound contains a number of Castles built between 1632 and 1855 by the various Emperors who reigned during this period. 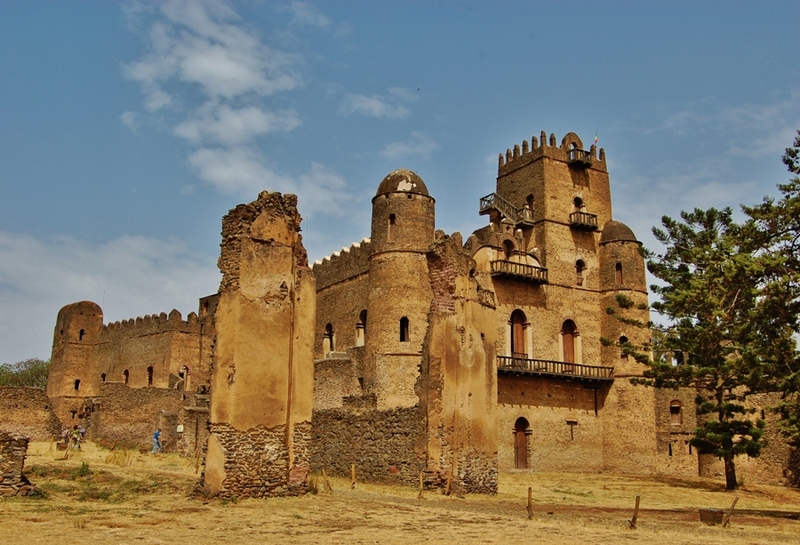 These dramatic castles, unlike any other African, display a richness in architecture that reveals the Axumite traditions as well as the influence of Arabia. Other treasure of Gonder include the 18th Century palace of Ras Beit, the bath of Fasilades, the reuined palace of Kusquam, and the church of Debre Berhane Selassie with its unique murals.